Who doesn't like popcorn? 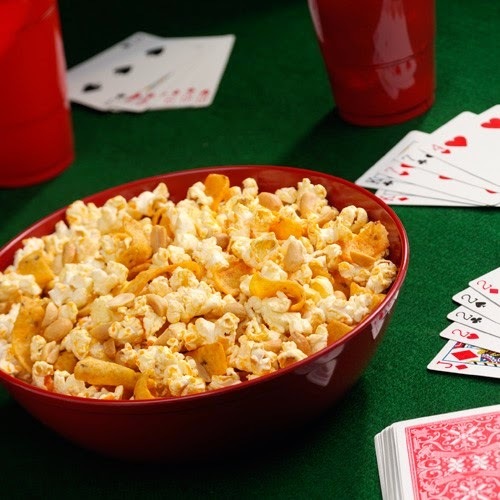 Planning a backyard party or get together, here is a great idea to spice up your next batch of popcorn. Elizabeth L. is here with a guest post that you are sure to love from Orville Redenbacher's - Buffalo-Style Hot Popcorn. You can also find more delicious popcorn recipes at http://www.orville.com. Now don't let the fact that this is made with tuna fish turn you off. Most people don't even know that it contains tuna fish. They always ask "what is in this?" 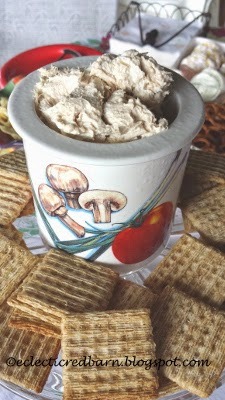 It is a quick and easy spread that goes great on crackers. My favorite is triscuits. Memorial weekend is ready to begin and we are trying to get the deck ready for company and cookouts. Why is it that we always seem to finally finish those projects that we have been putting off until right before we are supposed to have company? I don't know about you, but I seem to do that a lot. It gives me that extra push I needed. 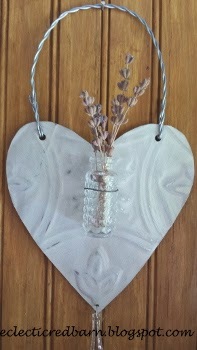 As we started to prepare for cleaning the deck, as usual, I wanted to add some additional decor and this heart vase holder was one of them. Did you ever find the right piece you were looking for, only to find out it had a big hole in it? Well, that happened to me. I needed a small round frame for a project I was working on. 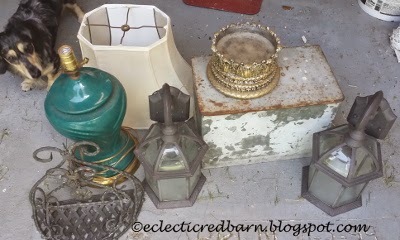 I searched, garage sales, flea markets and thrift stores. No lick, then a couple of weeks ago, I came across a new thrift store and there it was - just what I wanted. A small, round frame and only 50 cents. Yeah! All was well until I picked it up - and there it was - a big hole! There is something special about the weekends - garage sales! I don't know about you, but I love garage sales and flea markets. You never know what you might find. Last Saturday, I headed out by myself to hit some garage sales. It was a glorious day and I managed to get some good finds. Here are my treasures: dog not found - already had him! 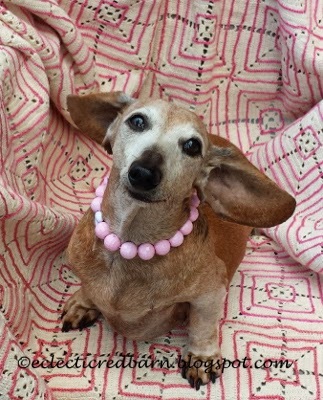 I was recently asked for a new picture of our doxie Marina to put on the Dachshund Rescue of South Florida Facebook page. They wanted an update since we had rescued her three years ago (she is now around 12 years old) and gave her her forever home. Marina is the sweetest old girl and we were so surprised to find out that she had the most likes of any other dog - almost 6000 likes and over 300 comments. 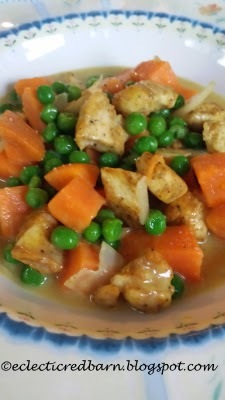 If you are craving Indian, why not make your own at home. This curry dish has fewer calories and fat than the traditional restaurant versions and that is good news for us. 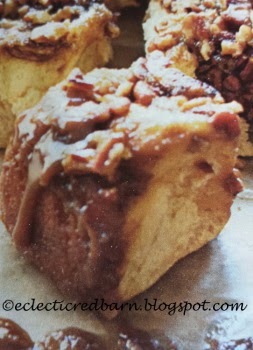 I have made many versions of sticky buns in my lifetime, but these ones have to be the easiest. I sent them into my husbands work yesterday. They put them in their toaster oven and reheated them so they were warm and gooey. They were a big hit.